Bryan College is in the news again. A recent New York Times article describes the hullabaloo over creationism and college creeds. But here’s the problem: journalist Alan Blinder seems all too willing to cast today’s struggles as only warmed-over reiterations of the 1925 Scopes trial. That doesn’t do justice to the history nor does it help today’s readers understand the kaleidoscopic world of evangelical higher education. ILYBYGTH readers will remember that Bryan has been back-and-forth on the issue of Adam and Eve. The school has always been friendly to young-earth creationism. But President Stephen Livesay pushed through a clarification of the school’s traditional creed. From here on out, faculty members must affirm their belief in a literal, historic Adam and Eve. Most recently, the college has been sued by two faculty members who have refused to sign the clarified statement of faith. I’m not complaining because Blinder does not name the two professors who are actually suing Bryan—Stephen Barnett and Steven DeGeorge. I’m not complaining because Blinder focuses instead on Brian Eisenback, who had become controversial due to his evolutionary creationism. No, I’m complaining because this sort of coverage implies that the issue at hand is the teaching of evolution or the teaching of creationism. I’m complaining because so many writers—not just Blinder—feel a need to call every new example of evolution/creation controversy “Scopes II” or something similar. It would be entirely plausible, I think, for a casual reader to walk away from Blinder’s article thinking that Bryan College is becoming a religious school that teaches creationism, when it used to be a more secular school that taught evolution. It would also be plausible for readers to think that the issue at Bryan College today is the same issue that motivated the Scopes trial so many years ago. Both of these are woefully misleading implications. First of all, Bryan College is now and has always been a friendly environment for young-earth creationism. Until recently, Bryan hosted the Center for Origins Research and Education. This center was lead in turn by prominent YEC intellectuals such as Kurt Wise and Todd Wood. Today’s controversy at Bryan College is decidedly not between a “creationist” mindset and a “secular” one. Today’s controversy is between a pluralist sort of big-tent creationism and a stricter young-earth-only vision. The school may be tightening its definition of acceptable sorts of creationism, but that is a very different thing than imposing creationism on a pluralist school. Also, the controversy in 1925 was about whether or not evolution could be banned from public schools. 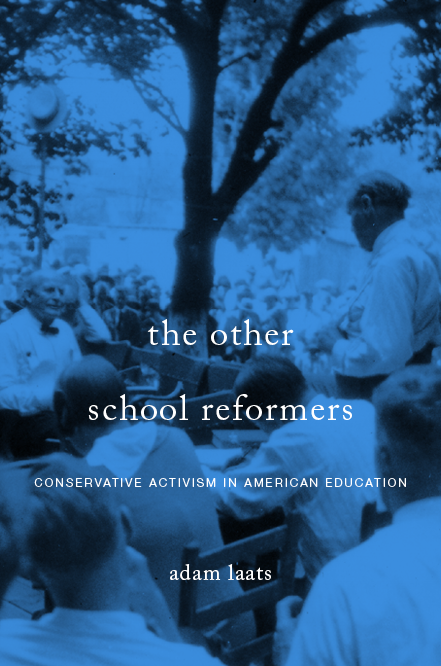 As I argued in my 1920s book and in my upcoming Other School Reformers, due to such controversies, many conservative Christians founded schools like Bryan College. But today’s debate is vastly different. The debate today is over what sort of creationism counts as creationism at a private evangelical college. Just because it brings journalists from New York down to Dayton again, there is no need to imply that this is somehow a return engagement for Clarence Darrow, H.L. Mencken, William Jennings Bryan, and John Scopes. What we’re seeing today is worlds apart from what Dayton saw in 1925. Then look no further than the pages of the New York Times. These aren’t the ravings of a fringe Bible-thumping creationist, nor are they the feverish exhalations of a Dawkins wannabe. Rather, the New York Times recently ran a sadly mistaken opinion piece by physicist Adam Frank of the University of Rochester. Professor Frank and I are on the same side of these debates. We both want better evolution education in America’s schools at every level. Creationism is not Professor Frank’s only concern. He also blasted America’s growing—or at least durable—disdain for climate-change science and vaccination science. For those notions, Frank may have a point. But his claims about creationism don’t pass the smell test. Even on his own terms, Professor Frank muddles things. He opens by acknowledging the fairly flat lines of American creationism illustrated by Gallup polls. Since the 1980s, about 42-44% of respondents have agreed that God created humanity in pretty much its present form at some point in the last 10,000 years. How, then, does it make any sense for Frank to conclude that his “professors’ generation [in the 1980s] could respond to silliness like creationism with head-scratching bemusement”? Creationism in the 1980s was a roaring lion, pushing “two-theory” laws onto the books in states such as Arkansas. Indeed, President Reagan swept into the White House based, in part, on his ardent support for creationism. Frank’s personal experience with self-satisfied academic scientists in the 1980s who looked at creationism with “head-scratching bemusement” demonstrates the surprising cultural isolation of academic scientists more than it does any weakness of creationism in the 1980s. As sociologist Elaine Howard Ecklund has argued, many scientists in elite academic settings these days show a surprising ignorance about conservative religion in America. That may have been true of Frank’s teachers in the 1980s as well. If they thought 1980s creationism posed no threat to mainstream science and science education, they certainly misunderstood the nature of American culture and politics. More startling is Frank’s bizarre claim that creationism was a “minor current in American thinking for much of the 20th century.” Such a statement reveals a breathtaking ignorance about the career of American creationism, indeed about American culture in general. I don’t suggest that physicists such as Professor Frank need to take the time to read the excellent academic literature out there, such as Ron Numbers The Creationists, Michael Lienesch’s In the Beginning, or Jeffrey Moran’s American Genesis. Though it wouldn’t hurt, especially if one is planning to spout off about the history of creationism in the pages of the New York Times. But even if Frank only scanned through the Wikipedia entry on the Creation-Evolution Controversy, he would see that creationism has never been a “minor current.” Creationism has always been embraced by leading figures; creationism has always had powerful political support. So what could the good professor have been thinking? How could an intelligent, informed commentator really believe that creationism has grown from inconsequential to insuperable between 1982 and today? Perhaps Professor Frank believes that his claims are true if we look only at creationism “narrowly defined.” That is, one could make the case that today’s sort of creationism did not exist for most of the 20th century. This could hold some water. After all, the sort of creationism we’re used to today is very different from that of the 1920s, 1930s, 1940s, and 1950s. The 1961 publication of Morris and Whitcomb’s Genesis Flood heralded a new sort of creationist thought and belief. If this is what Professor Frank meant, good for him. But I don’t think it is. After all, Frank does not claim that creationism has become powerful since the 1960s. He seems to believe that creationism has escalated in political intensity since 1982. Also, if he hopes to argue that creationism’s political power is stronger now than it has ever been, he can’t hide behind his faulty “narrow” definition of creationism. In the first half of the 20th century, creationism—not the same creationism as today, but recognizably the same cultural and political impulse—ruled the ballot box in states across the country. It did so far more powerfully than it has done since. The claims of “early” creationism were far more strident than the claims of latter-day “creation scientists.” Since the 1960s, most creationists have fought to include creationism alongside evolution in public-school science classes. Earlier activists had much greater ambitions, hoping to ban evolution entirely. So what can we make of Professor Frank’s anxious tut-tutting? Frank’s misleading conclusions, I believe, result from a disturbing willingness to ignore the historical record and rely on flawed personal experience to make sweeping charges about the way America has changed over time. The goal is to create a sense of hysteria, a sense that we are now approaching a crisis worse than any we have seen. Such antics may make for good politics. But they make for very bad policy-making. Our thinking about creationism, education, and culture should be based on clear-heading thinking, not on false claims. Is America in 2013 ferociously creationist? Yes. Do politicians truckle to creationists? Yes. Has America become more ferociously creationist since Professor Frank began his college career in 1982? No. It may be politically expedient to skew the history this way, but it doesn’t do justice to the facts. In the end, this kind of misrepresentation hurts the cause of evolution education. It depends on a false sense of crisis; it gives readers a misleading depiction of our current cultural situation. America is not facing the strongest creationist surge in our history. Education policy should not be based on hysterically misleading claims. Rather, creationism today is powerful, just as it has been since before America landed on the moon, just as it has been since before America landed on Omaha Beach. American creationism, in short, is not a sudden new challenge to mainstream science, but rather a durable tradition. Science pundits such as Professor Frank must recognize this. All of us who follow creation/evolution debates have likely read by now the “Room for Debate” essays in the New York Times the other day. Each essay is short and pithy. Certainly worth your time. They include fourteen cents altogether, two each from an evangelical physicist, a liberal theologian, an evangelical apologist, a Muslim pundit, a political scientist, a law professor, and a theologian/environmentalist. All in all, an interesting and idiosyncratic collection of opinions on the subject. But here’s my beef: Where is education in all these voices? Other scribblers, I’m sure, will ask other questions. For example, where is atheism? Or any sort of strong argument that it is, indeed, a big problem to believe in biblical creationism? The editors would not have had to work hard to find a good atheist to contribute. Even outside the big names such as Jerry Coyne or PZ Myers, plenty of articulate atheists could have offered a strong opinion about the dangers of believing in biblical creationism. More directly relevant to readers of ILYBYGTH, where is the voice of education? IMHO, the issue of “biblical creationism” would not be nearly as controversial if Americans did not have to decide what to teach in our public schools. Well put. But that proxy war is fought primarily in boards of education, in classrooms and PTA meetings, in state textbook meetings, and in thousands of other school-related battlefields. The evolution/creation controversy is not primarily an issue simply of scientific or theological disagreement about epistemology and ontology. There are plenty of other issues on which people do not agree that have not had the tumultuous career of the creation/evolution debates. In short, the brouhaha over reality of meaning is only a brouhaha because we need to decide on what sorts of meanings we will teach our children. It would have helped this discussion enormously, I believe, if someone had pointed this out; if at least one contributor made education his or her primary intellectual interest. I’m not only saying this because I wish the NYT had called me. Though I do work for peanuts. In the bigger picture, leaving an “education” voice out of a creation/evolution debate has long been a problem for those of us trying to understand the issue. Too often, creation/evolution is framed as an issue of science and religion. Science and religion only. As if the truth of life’s origins remained the primary source of controversy. That makes it difficult to understand the real issues. As thoughtful scholars such as Randy Moore, Lee Meadows, Michael Berkman & Eric Plutzer, and David Long have pointed out, creation/evolution is not only about “the reality of meaning in the world.” The rubber hits the road in this culture-war issue with individual students, in specific classrooms, day after day, decade after decade. Unless we recognize the importance of the way creation/evolution plays out in such real-life environments, we will not move forward. So, for the record, the next time any editor wants to corral a herd of scholars to comment on creation/evolution issues, please be sure to include someone with a primary interest in evolution. It doesn’t have to be me. But I’m always available. I will also talk about creation/evolution at Labor Day cookouts, Bar/Bat Mitzvahs, awkward crowded elevator rides, or any other event. Just call me! President Carson 2016: The Education President? What would a President Carson mean for education? Conservatives at CPAC loved Dr. Carson. They should. Carson has a dramatic life story and is a compelling public speaker. His values are profoundly conservative. He wants more public religiosity. He wants a flat tax and a smaller public debt. He wants America to beef up its military strength and return to a vision of the past in which Americans shared common values. New York Times reporter Trip Gabriel noted that a recent Carson speech at a National Prayer Breakfast “criticized the health care overhaul and higher taxes on the rich, while warning that ‘the PC police are out in force at all times.’” True enough. But those were just the starting points and final words of Carson’s half-hour talk. By far the bulk of Carson’s address concerned the vital importance of education. I wonder if reporter Gabriel ignored the bulk of Carson’s speech because Gabriel considered education to somehow be of lesser political interest than health care and tax policy. If that’s the case, Gabriel couldn’t be more wrong. Check out the speech itself if you have thirty minutes to spare. You’ll see that Dr. Carson focused almost entirely on traditional conservative themes in educational policy and reform. Carson shared his own remarkable educational history. As a child, he grew up in a very poor household. His mother had been married at age thirteen, soon abandoned by her bigamist husband. She herself had only attained a third-grade education. But she insisted ferociously that her two sons would be different. She required young Ben and his brother to write two book reports per week for her to review. Eventually, of course, Dr. Carson went on to his spectacular career as a leading pediatric neurosurgeon. That is not okay, Carson insisted. America’s form of government requires a well-informed citizenry. That is why Dr. Carson offers two programs for low-income youth: a college scholarship fund and reading rooms in low-income public schools. Education, Carson promised, will prevent criminality. More important, education will prevent cultural decay and decadence. Look at Ancient Rome, Carson said. “They destroyed themselves from within. Moral decay, fiscal irresponsibility.” The same thing could happen to the United States, Carson worried, if we don’t beef up our education system. So what would a President Carson do for education? Could he combine traditionally leftist education policies—such as financial assistance for the lowest income schools and students—with traditionally rightist policies—such as teaching traditional values and public religiosity in schools? Even the superhuman brain surgeon himself couldn’t answer that. But it is worth more consideration than some journalists and commentators seem willing to give it. “All the News That’s Fit to Print” . . . eventually. An article in yesterday’s New York Times describes the controversy over a yoga program in Encinitas public schools. The same controversy that guest blogger Natalia Mehlman Petrzela analyzed in these pages a week ago. I imagine NYT writer Will Carless had a stricter word count, but whatever the excuse, yesterday’s article doesn’t come close to matching the depth or context provided in Professor Mehlman Petrzela’s account. Sorry, Grey Lady, ILYBYGTH got there first…and better.